There is vibrancy and youthfulness about Timor-Leste. This is definitely part of its charm which most who visit find very refreshing. Timorese in general are gregarious and they like to party. Usually that means joining together with family, friends and neighbours, sharing food and drink, music, dancing and often fireworks. If passing by you are likely to be asked to join in. 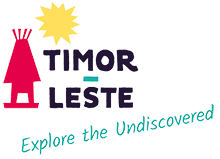 At the national level, in addition to important religious holidays such as – All Souls, All Saints, Christmas and Easter, most other holidays celebrate Timor-Leste’s recent independence as a nation. Popular Consultation, Restoration of Independence, Proclamation of Independence and National Youth Days are examples. Participating in these special Timor-Leste commemorations is a great way to learn more about this nation and to meet its people. Then there are the cultural events, such as music festivals, and international sporting events designed to foster national unity and showcase the warmth and beauty of Timor-Leste. The most famous of these are the Dili ‘City of Peace’ Marathon and one of the world’s toughest bike races – the grueling Tour de Timor. Its 400-500km route varies from year to year and whether you are one of the hardy participants or a bystander it is inspiring.